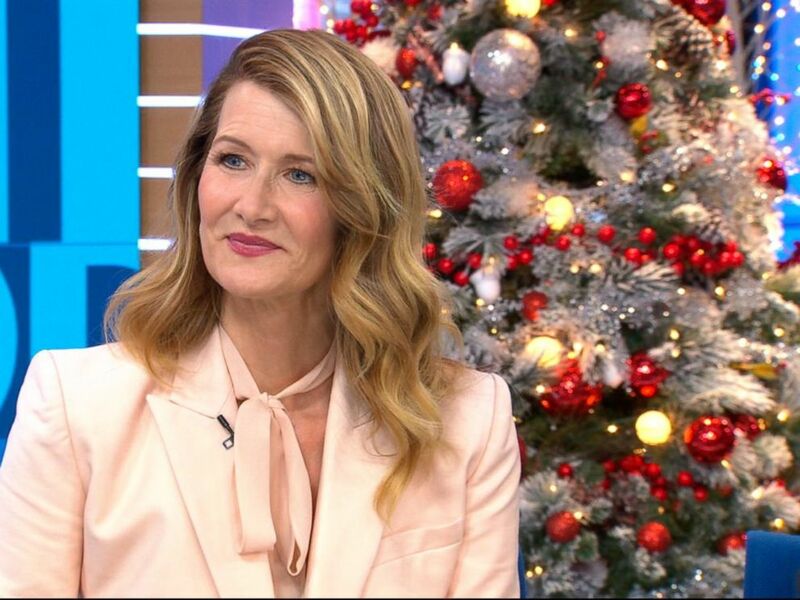 Laura Dern, who scored a Golden Globe nomination for HBO’s "Big Little Lies," said Reese Witherspoon is the most voracious texter among her female co-stars. “She’s teaching us other girls how to be better communicators, God love it,” Dern said on “Good Morning America” today of her co-star. (L-R) Laura Dern, Nicole Kidman, Shailene Woodley, Zoe Kravitz, and Reese Witherspoon attend the premiere of HBO's "Big Little Lies" at TCL Chinese Theater, Feb. 7, 2017 in Hollywood, Calif.
Dern, who plays Vice Admiral Amilyn Holdo in the highly-anticipated “Star Wars: The Last Jedi,” which hits theaters tomorrow, said she got emotional during her first moments on set. “She was so brilliant about film and music – a true pioneer goddess,” she added. Could Dern’s “Jurassic Park” character, Ellie Sattler, be returning to the big screen? Perhaps. “I think it might be time for some Ellie Sattler, but let’s see. I don’t know,” the actress said with a smile. ABC News and Lucasfilm, the production company behind "Star Wars," are both part of parent company Disney.